Julie True Kingsley explores her family’s history and service with Firefighting Departments in Maine. Maine is gritty; a state, full of independent-minded folks who believe in community. This is especially true for our call and full-time firefighters. These people band together to get things done, to protect, to serve. This call to service seems to run in families like the color of a person’s eyes, persisting from generation to generation. 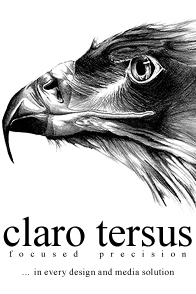 These people will put their life in jeopardy for their community, for you. Confession, I’m not a firefighter. I don’t sleep with my pants hung on the doorknob for easy entry and sometimes when I travel I forget to look for the fire exits. But, I do know a little something about firefighting. In 1946 my grandfather and Great Uncle Raymond Burke joined the South Windham, Maine Fire Company. They both battled the great Fire of ’47. The fire that started in York County and burned all the way to Bar Harbor, devastating much of the state. I can only imagine the despair they felt coming home from World War II to see their communities go up in flames. My father and his brother, together with their cousins, joined in the early 60’s. They all started at the volunteer level only to turn into seasoned full-time firefighters. 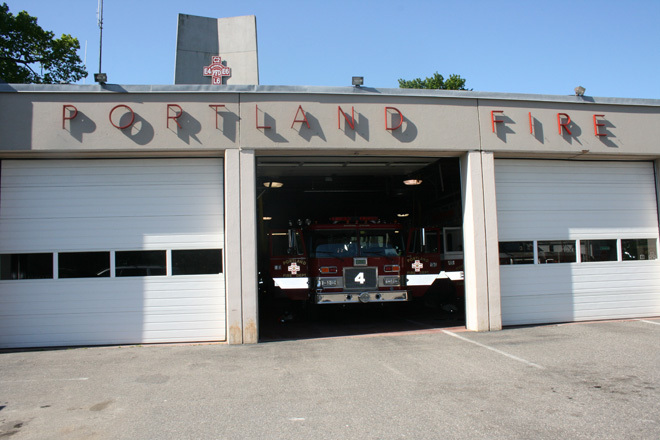 My uncle retired from the Portland Fire Department as Lieutenant, while my father moved up through the ranks to retire as Chief of the South Portland Fire Department. My father doesn’t talk much about the dangers of the job but, growing up I heard tidbits, snippets of stories. During one fire, he was crawling along a grate on the inside of an oil tanker. The smoke was so thick he couldn’t see his hands in front of him; oblivious to the hole that could have sent him falling three stories down. There was the time somebody shot at the truck as it raced to a fire, shattering the windshield and he once sheltered in a doorway after live power lines fell beside him. 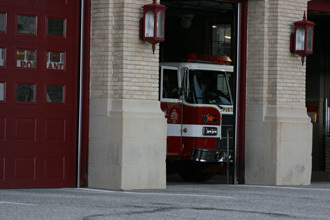 As a child, I remember riding in the chief’s car, sirens blaring, racing through lights to go to house fires. The excitement was exhilarating. At the end of a shift, I recall the stale smell of smoke embedded into clothes and the weariness in my father’s face. Holidays and birthdays were often spent apart, Santa Claus occasionally came early. 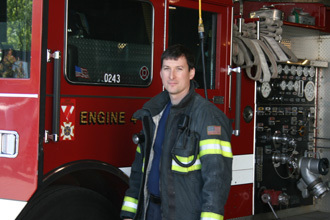 My brother, Lieutenant Scott True, is currently a Lieutenant at the Portland Fire Department. Portland currently has 68,000 nighttime residents which rises to 150,00 during the day. It is a diverse community with a working port, large industrial areas, and diverse residential properties. 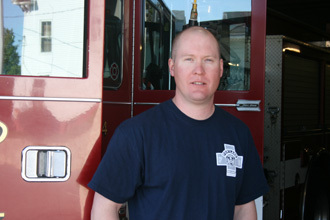 His last placement was at the Portland Jetport and now he is stationed at Bramhall Fire Station in the heart of Portland. Every day for him is different, exciting and dangerous. What strings all of these men together is not only their shared love of the professional. It’s their lifestyle. These men hang out with other firefighters. They are sarcastic like only a firefighter can be. They are pragmatic to a fault. They are crazy and sane at the same time. But, I’d chose one of them in a crisis. I’d like to think I have some firefighter in me. I’ve successfully given the Heimlich Maneuver, put pressure on a hemophiliac, and pulled a drowning child out of the water. In a crisis, I feel the firefighter mentality in me. I’m not sure if the legacy will move on to my children, but truly, I wouldn’t be surprised.